Smoking cigars with a fine meal done properly can enhance and elevate the gastronomy experience. 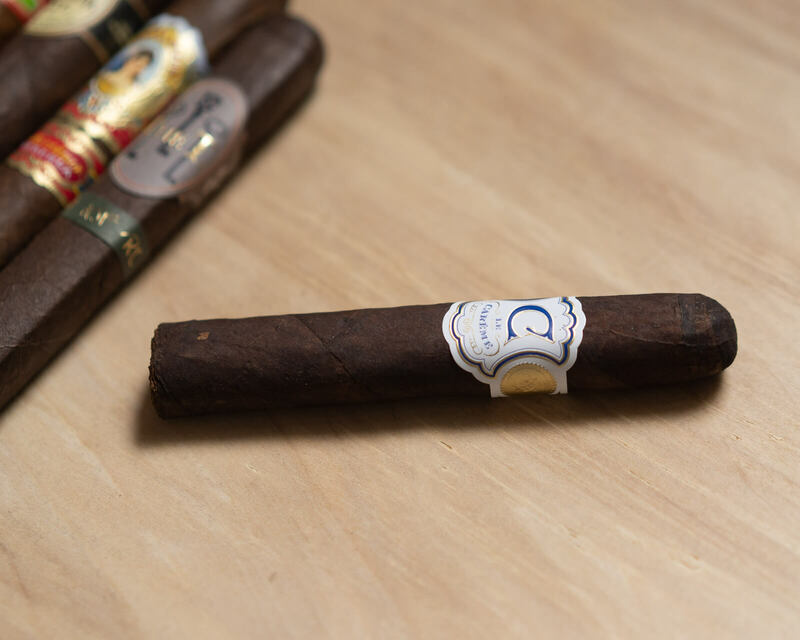 Crown Heads Cigars sought to develop a cigar that derives inspiration from haut cuisine. In Le Carême the blend was created as an homage to Marie-Antoine Carême, a French chef renowned for defining elaborate and elegant dining. Le Carême Hermoso No. 1 could indeed be a course in a chef’s tasting menu, as the flavors go from sweet to savory and demonstrate the highest levels of ingredients and execution. 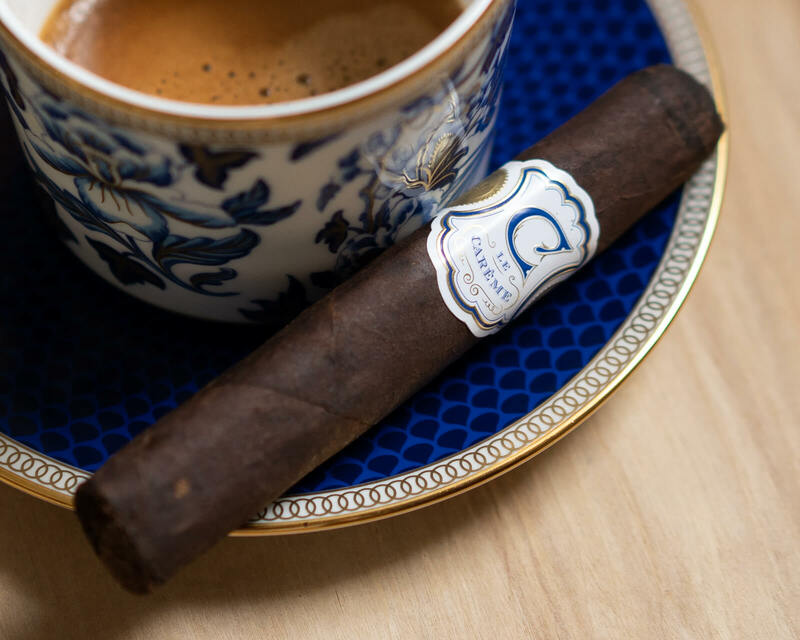 The Crowned Heads Le Carême has a dark, oily Connecticut Broadleaf wrapper that is beautiful to look at. The white band is an attractive contrast to the wrapper leaf and really stands out. The clean look with the large blue “C” in the center of the band and “Le. Carême” underneath reminds me of a dining table at a Michelin starred restaurant. Lighting the Le Carême, I’m greeted with flavors of raisin and vanilla bean. After a few puffs, graham cracker and sugar cane come forward. Notes of almond paste and a savory quality envelopes the palate as well. The cigar is beginning to taste like dessert already and food pairings are evident. The retrohale serves up cedar with a slight creaminess. Delicious. In the second half of the Le Carême, an onslaught of clotted cream hits me along with a touch of salt. The burn is excellent, as is the draw at this point. As the cigar builds up, it becomes toasty while maintaining that wonderful creaminess. Cocoa powder overpowers the toast at this point and the mouthfeel is like chocolate mousse. As the Le Carême hits its final third, the creaminess continues to dominate while hints of cedar round out the profile. 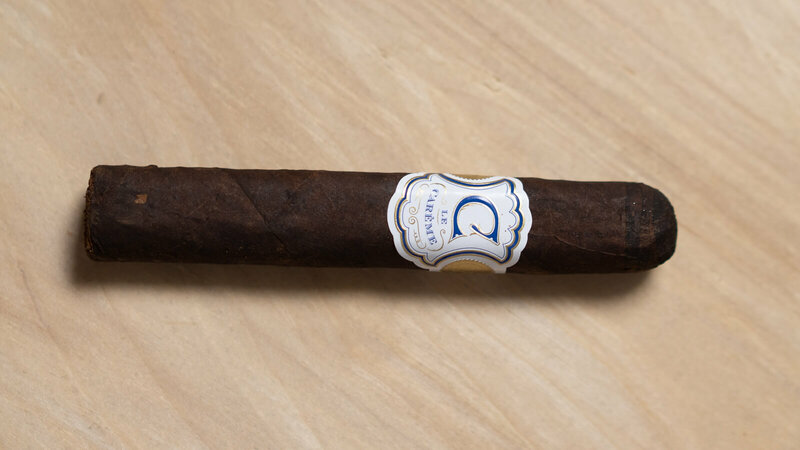 Cinnamon is picked up which revitalizes the palate and demonstrates this cigar has more complexities coming. The final few puffs leave your palate salivating and eager for another helping of this smoke. Excellent. Crown Heads hit its mark with the Le. Carême Hermoso No. 1. They were looking to pay tribute to a grand chef and place a cigar on par with haut cuisine, and this couldn’t have been any better of a delivery of that concept. If you are looking to elegantly finish your journey through elevated gastronomy then skip your sweet course and bring this to your table.